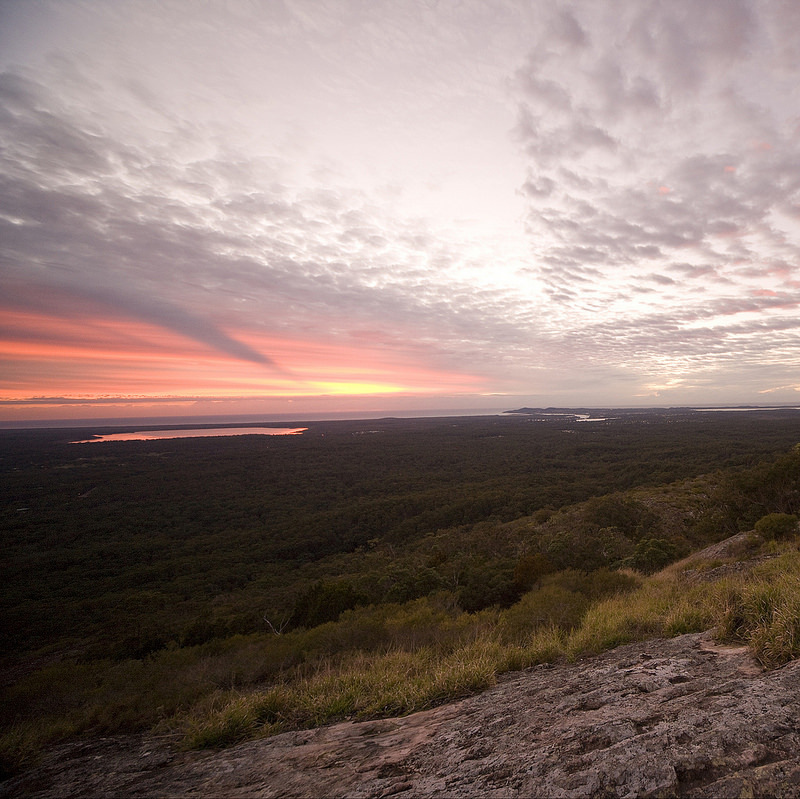 STUNNING is the one word that sums up the views from Mount Tinbeerwah – especially during sunrise or sunset. Mount Tinbeerwah is an easy 15 minute drive away from Noosa. It’s situated in the Tewantin National Park. Access to the Tinbeerwah summit is quite easy too. There’s a road which takes you to a car-park near the top of the mountain. From there it’s a short walk to the top (approximately 1 kilometre) via a footpath. There’s also pram and wheelchair access but that will only take you to the first lookout point which is just over 100 metres away from the car-park. Don’t despair though – the views of the Noosa coastline are stunning from this vantage point too! It’s also a family friendly activity – Brisbane Kids wrote a good article about Mount Tinbeerwah here. The views from the top are incredible. On one side you’ll have the picturesque Noosa and the turquoise blue of the ocean. Turn around and you’ll have a stunning view of the Noosa hinterland mountains. It’s an ideal spot for taking in beautiful views while enjoying a picnic with friends and family. Don’t forget to bring your camera! It’s one of our “must do” recommendations when we greet our Noosa accommodation guests.